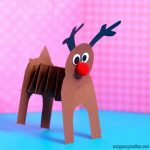 We got the simplest reindeer paper craft idea to share with you today, so grab your construction paper and let’s get creative. 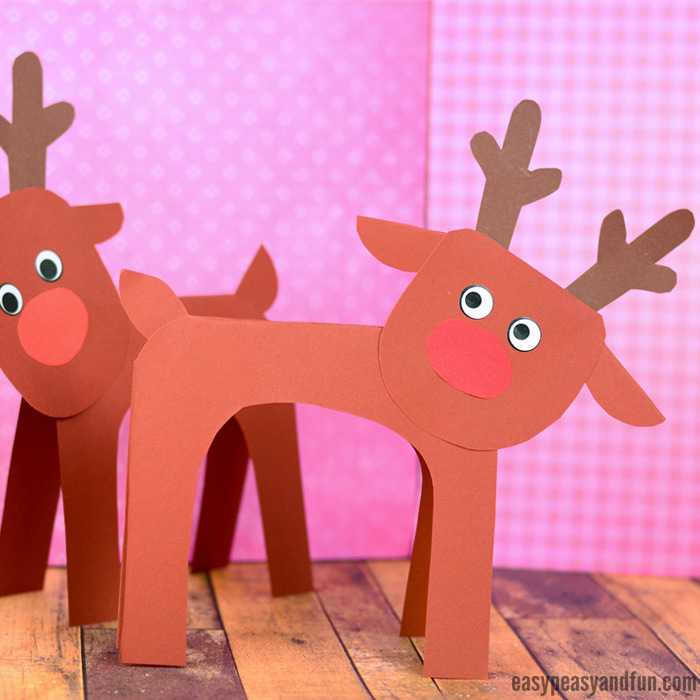 Reindeer trully are a fun crafting theme during December, they are just right to get you into the Christmas mood. 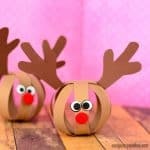 We absolutely love sharing Christmas craft ideas for kids, big and small, it’s one of the coolest crafting holidays of the year, where there is lots of time to sit together as a family and bond over making creative projects together. 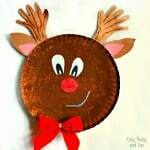 These construction paper reindeer are especially great as they are both fun to make and will be an adorable little DIY Christmas decorations kids can make, to help decorate your home or the classroom. 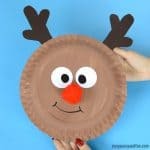 You can quickly make all of the Santa’s reindeer, and with some imagination add Santa’s sleigh to create a wonderful display. 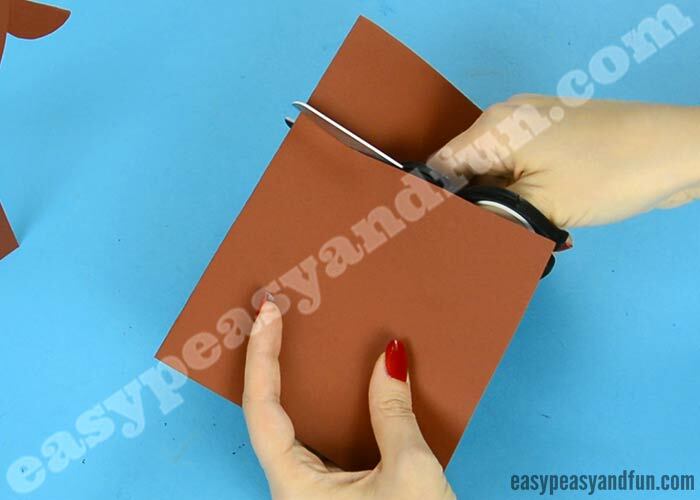 Fold a letter or A4 sized sheet of brown construction paper in half. Cut off about 1/4 off to make the reindeer body shorter (no harm in letting it longer though). 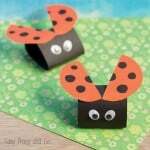 Cut out a U shape (don’t cut into the side with the fold). Round the edges on one or both sides. 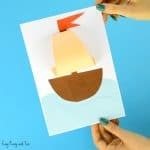 Cut a head shape from the scrap paper (from the U shape). And glue on the head. Stick on or draw the eyes. 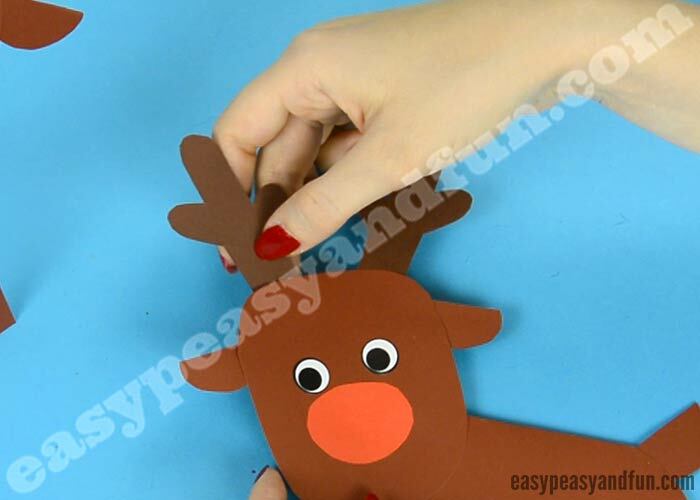 Cut nose from red paper (or dark brown if you are making other reindeer). 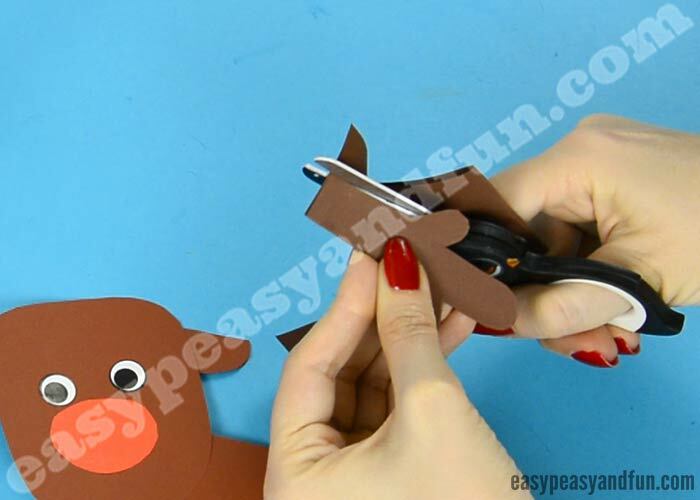 Cut ears from scrap paper too as well as the tail. Glue on tail and ears. 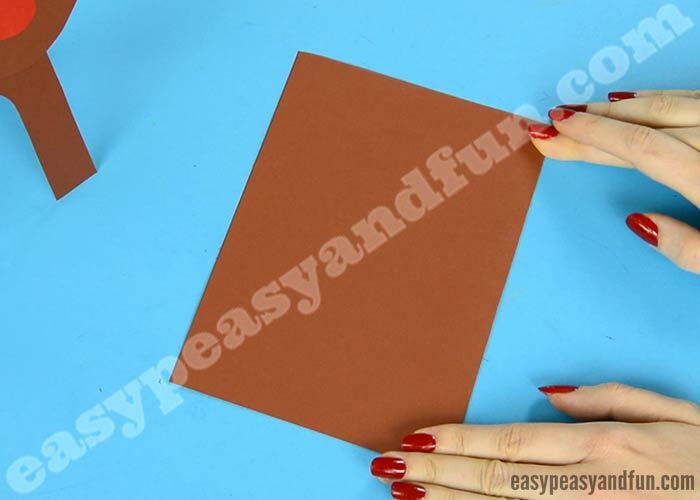 Cut antlers from dark brown construction paper. And glue them on the head. All done! 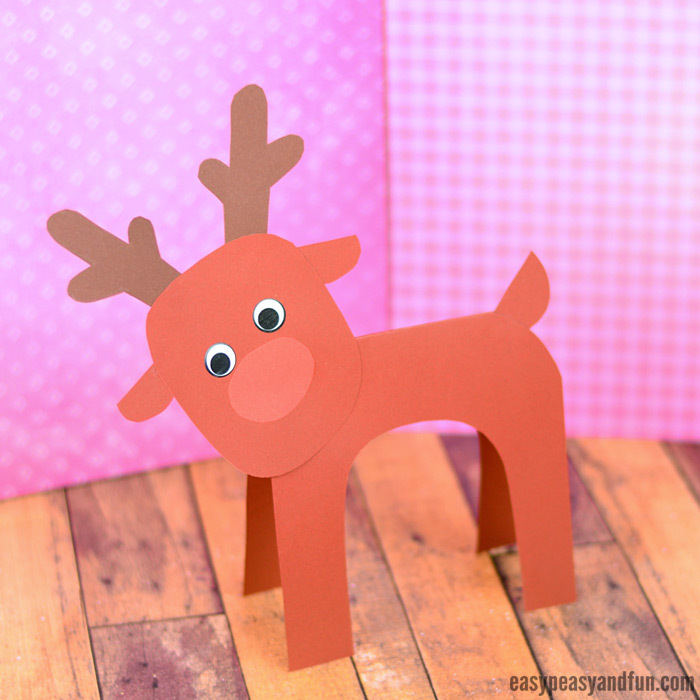 You have made your super simple reindeer paper craft. 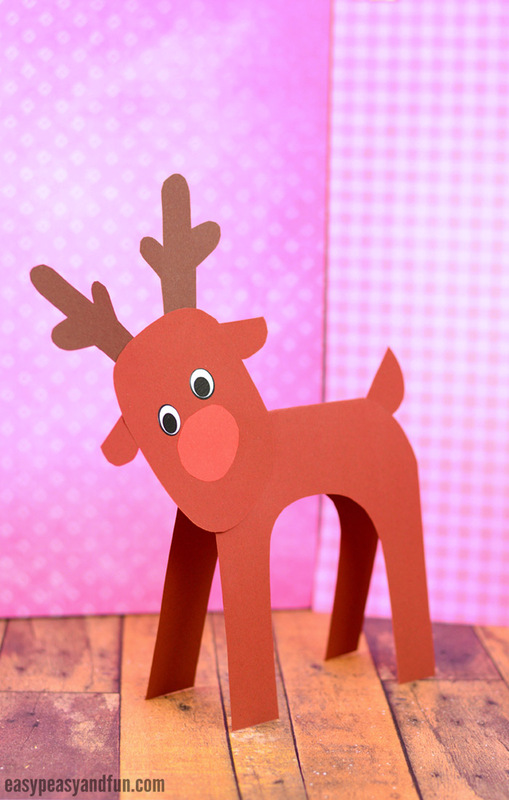 Now depending on the size and weight of the paper the reindeer you might need to fold the legs at the bottom to make it stand, but using the size we used it should stand on it’s own as it is.